As a leader behind the scenes, you have the vision and initiative to organize and manage a production from beginning to end. 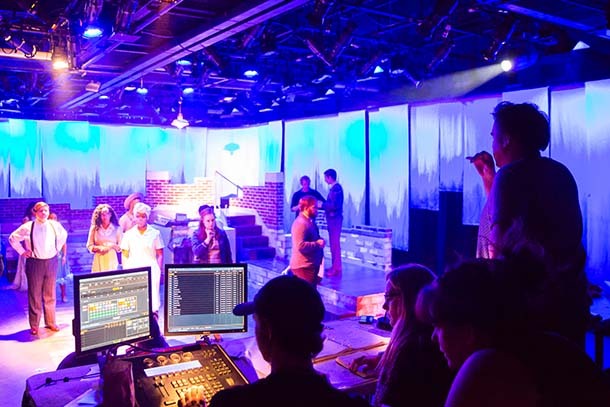 In the Theatre bachelor’s degree program at Columbia College Chicago, you’ll start by getting a solid education in theatre history and theory, and then choose a concentration in directing, playwriting, or stage management. You’ll choose a concentration your second year of study. No matter which concentration you choose, you’ll start with foundational courses to build context for your artistic practice. You’ll develop strong leadership and collaborative skills as you guide teams of actors, designers, and technicians and work within budgets to stage theatrical productions. You’ll get at least three chances to direct productions, starting with a scene, then a 20-minute one-act play, and finally a full 90-minute production. 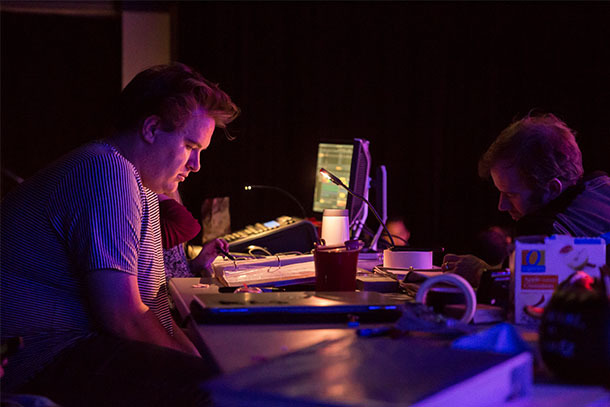 You’ll develop a professional portfolio of work and take a business course that will provide an overview of directing in all theatre contexts, from professional shows to schools to community engagement. 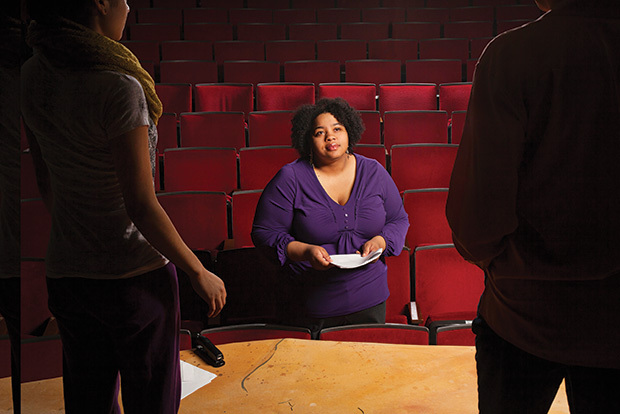 After graduation, many directing students work at theatre companies or apply for graduate study. As a Playwriting student, you’ll learn how to create unique stories and captivating characters for the stage. You’ll begin by writing short scenes, move on to one-act plays, and finish with full-length plays. In the classroom, your scripts will be given table readings, followed by feedback from your instructors and peers. You’ll then be invited to submit your scripts to be performed in staged readings and workshop productions for live audiences. The program culminates with the fully produced Playwriting Senior Showcase. You’ll learn how to network and collaborate with directors and actors and how to submit your plays for professional production. If you want to pursue graduate school, your faculty mentors will help you apply for programs. You’ll learn how to conduct every detail of a production, from casting to rehearsing to running the show. Stage managers work on every production at Columbia. They coordinate schedules, run rehearsals, track props and blocking, and collaborate closely with directors. You’ll learn industry standards for paperwork and show calling. You’ll learn how to create a safe, comfortable environment for the entire cast and crew on a number of shows, including large-scale musicals, dance productions, one-acts, and devised theatre. 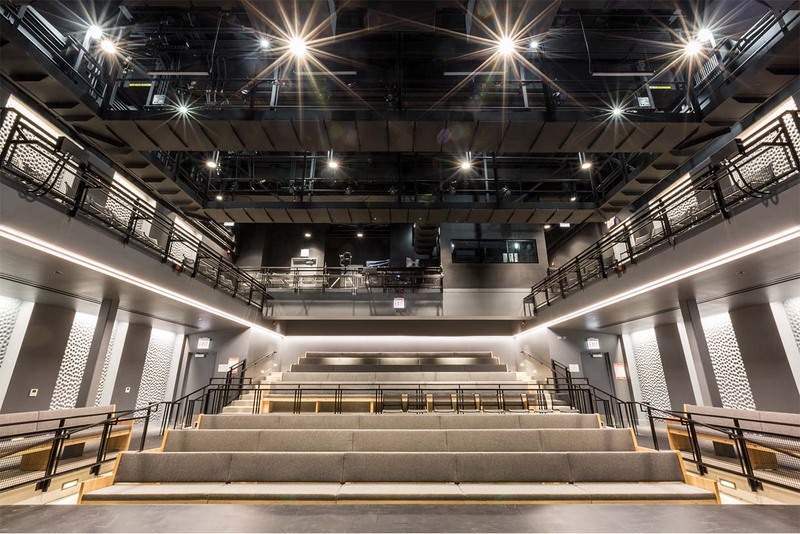 On field trips, you’ll get to watch professional stage managers direct rehearsals and call shows at theaters like Chicago Shakespeare, Steppenwolf, Lyric Opera, and Joffrey Ballet. You’ll work with faculty mentors to create a professional resume, research post-graduate opportunities, and launch your career. The Getz Theater Center has four professional-quality stages, a state-of-the-art scene shop, stocked costume shop, and dedicated makeup/prosthetics and lighting labs. You'll get to manage productions, stage your own work, and create in these cutting-edge spaces. 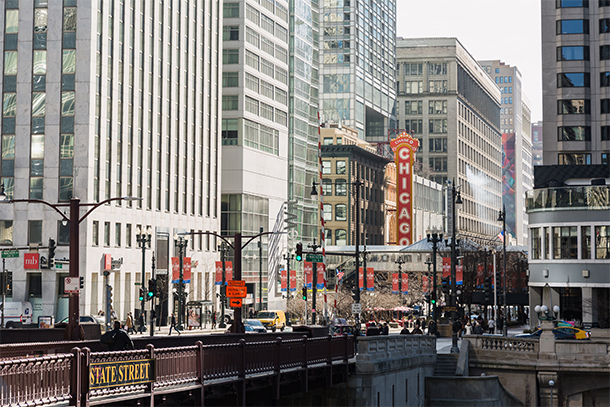 Chicago is one of the greatest theatre cities in the world. You’ll immerse yourself in the city’s vibrant theatre scene and see productions on a regular basis. Living in Chicago means you’ll have countless opportunities to see new work, stage readings, and network with professional directors and producers. Our faculty members have deep ties in the industry and help students find work opportunities. Internships and preprofessional experiences are essential for emerging leaders in the theatre world. 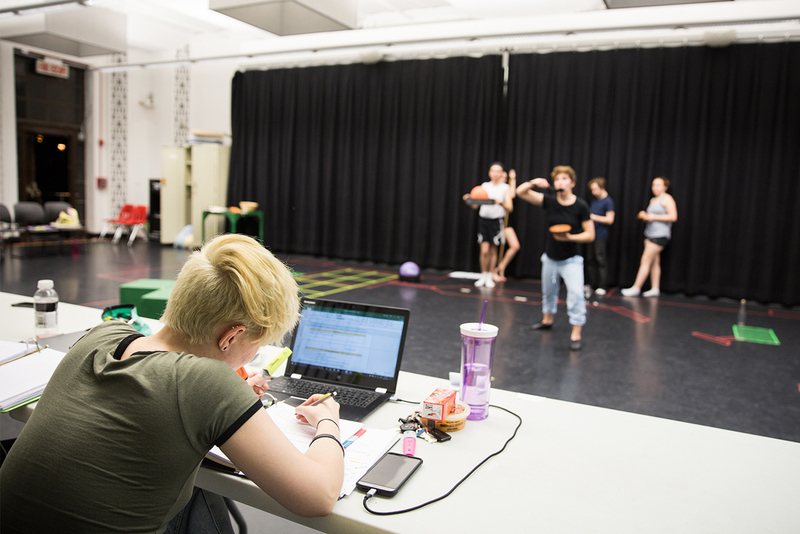 An internship will immerse you in a professional theater, expand your experience in the industry, and show you firsthand how professional directors, playwrights, and stage managers lead teams. We host two internship fairs each academic year, with attendees ranging from representatives of prominent theaters like Steppenwolf, Victory Gardens, and the Goodman to those of small storefronts. 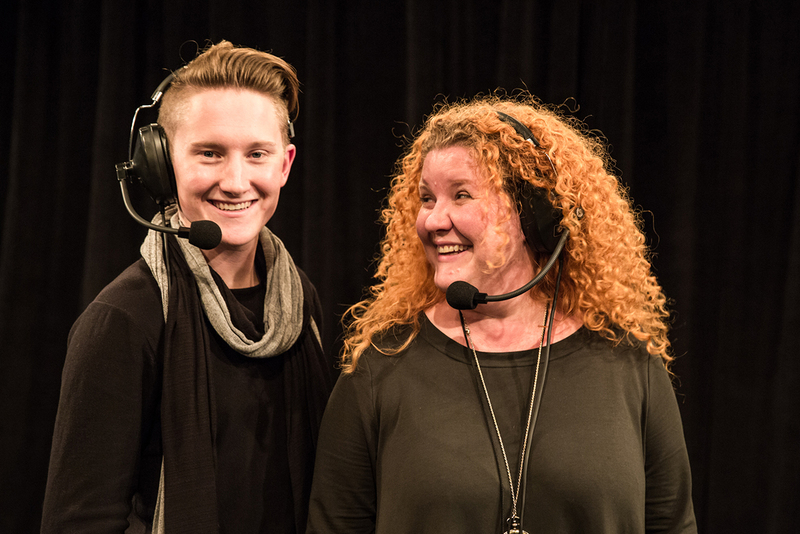 Using her industry connections, faculty member Nykol Dedreu guided student Jake Fedorowski to internships at Chicago’s BoHo Theatre and Santa Fe Opera. Columbia College Chicago theatre faculty members are working professionals in the field. They bring a wealth of experience to the classroom and are passionate mentors. Paul Amandes is a playwright, lyricist, composer, and director. He’s written many plays and musicals, including Local Wonders, Small, Troubleshoot, Two-Fools Gold, and Model UN. Nykol DeDreu was the production stage manager for Blue Man Group Chicago and has worked as a freelance stage and production manager for regional theaters, contemporary dance troupes, operas, and cruise line theaters. Credits include Utah Shakespeare Festival, The Fulton Theatre, Phoenix Metropolitan Opera, Jacob’s Pillow Dance Festival, Lake Tahoe Shakespeare, Norwegian Cruise Line, Adelaide Fringe Festival, and Rennie Harris Puremovement. Stephanie Shaw has been a theatre critic for the Chicago Reader and a member of the Neo-Futurists theatre company. She wrote and performed regularly for the company’s late-night hit, Too Much Light Makes the Baby Go Blind. 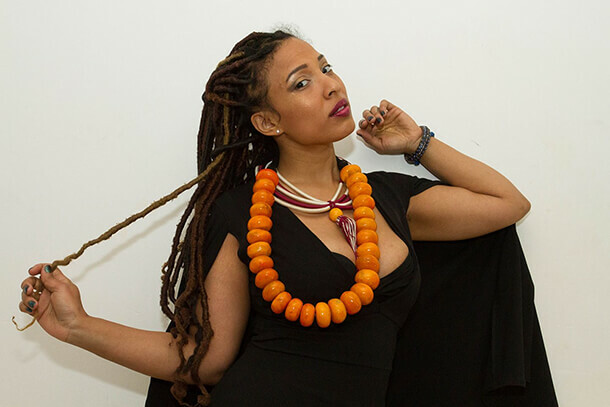 She has written and performed in works at several theaters in Chicago and has directed productions for Live Bait Theatre, The Neo-Futurarium, The New York International Fringe Festival, Oak Park Festival Theatre, and the Columbia College Chicago Theatre Department. John Green’s work as a director has been staged at the Edinburgh International Festival and theatre festivals in England, Ireland, Wales, France, Germany, Slovenia, Russia, and Australia. His production of five short plays by Samuel Beckett was a finalist at the Kennedy Center American College Theatre Festival. He has been a regular director for the Indiana Repertory Theatre.